Well, it’s happened again. Despite Nintendo trying to avoid leaks by restricting review copies, Pokémon Ultra Sun and Ultra Moon have leaked online, a good full week before their official release date. That’s pretty embarrassing given the situation with the original games. Or the likes of Breath of the Wild, Mario & Luigi Superstar or Super Mario Odyssey since then. But it’s also good news for us too. Why? 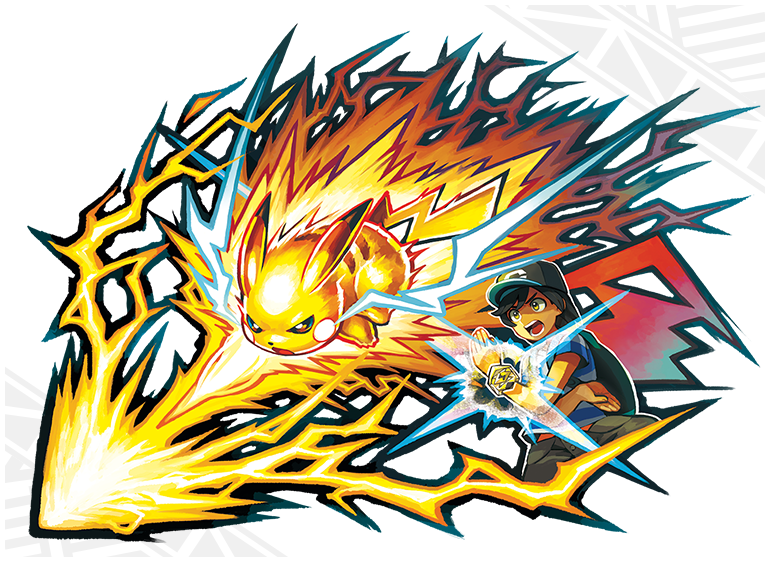 Because it means that thanks to some plucky dataminers, we now have information about all the new Pokémon and story elements added in the new titles! So, if you want to find out about Necrozma’s new forms or the new Pokémon included in the new titles, keep reading! Starting with some details on the new Pokémon in the game. 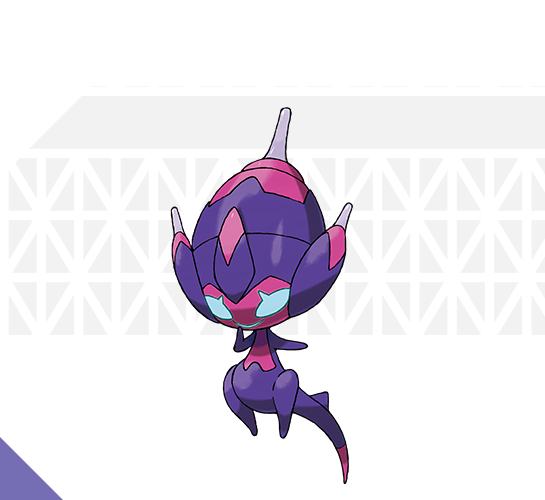 As you know, three new Ultra Beasts have officially been revealed for the game. These are UB Assembly, UB Burst and UB Adhesive, all of which are new Ultra Beasts meant to go along with the increased Ultra Beast focus in the game. However, they’re not the only ones here. Oh no, it turns out that Pokémon Ultra Sun and Ultra Moon doesn’t just have three new Pokémon. It has five new ones. Plus, a fair few forms as well. And a new mythical Pokémon called Zeraora. It’s pretty much what you’d expect from such a creature really, having 600 BST and being a fast-offensive attacker. As well as the full Pokedex for the games. Yeah, there’s no National Pokedex in these ones either. But hey, the normal one has been expanded a bit, so I guess that’s something, right? Which is a speedy special attacker. 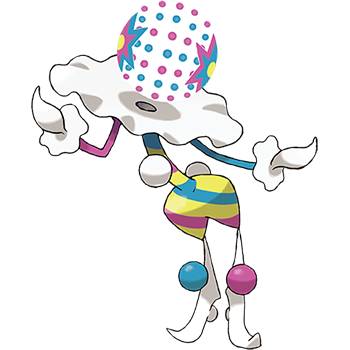 Its BST is 540, which is a tad underwhelming given its Ultra Beast origins, but at least its stats seem usable in certain situations. As for UB Assembly… well I think you can guess what its stat spread is going to be. The thing is a wall for goodness sakes! With a BST of 570. Yeah, it’s a physical wall, though give them credit in originality for it having a high attack stat instead of a super high special defenses one. It’s also about as slow as you can imagine. With the BST being 570. Yeah, UB Burst is a glass cannon, with sky high special attack stats and an extremely good attack stat on top of that. Unfortunately, its speed is probably not going to do it any favours. It’s slower than most high attack Pokémon like Kartana, Pheromosa and Deoxys and could likely end up being in Xurkitree’s situation where it ends up being at the risk of getting Koed before it can do anything with its stats. Cause it certainly isn’t taking any hits with a defence stat of 53, that’s for sure! Who thankfully has an insane speed stat, along with decent offensive ones to back it up. Yeah, it’s not gonna sweep entire teams at this point, but its speed means it could be used to baton pass stat boosts or whatever fast Pokémon are used for now. And that’s about it really. There are no new normal Pokémon, no new Alolan forms and no new legendaries outside of the new UBs, Mythical and Necrozma forms. 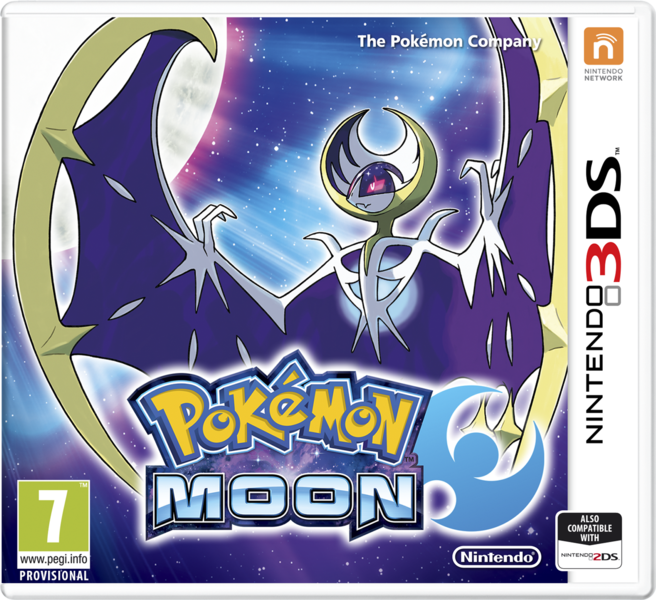 But hey, it’s only a ‘third game’ type deal, so even getting these new Pokémon is a good enough deal. So, let’s move onto the other major addition the game has received. Namely, Necrozma’s new forms. How do those stack up? Just about as you’d expect them to really. Put simply, each of the ‘mascot’ forms take after the stats of the Pokémon it’s been merged with. 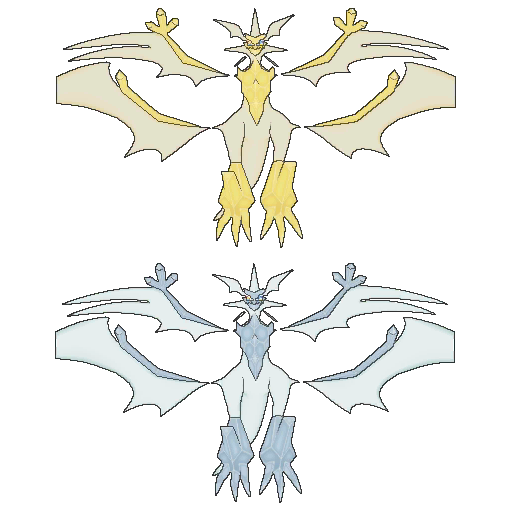 This means that the Necrozma + Solgaleo fusion is physical attack based and the Necrozma + Lunala fusion is special attack based. They’ve just received a bit of an extra boost to said stats to accommodate this. They’re decent enough. May replace the non-merged forms in competitive play at some point, given the typings and general setup hasn’t changed at all. However, they’re also not the most interesting Necrozma related addition in the game. Oh no, that one is Necrozma’s other form. The one the Pokémon Company has never shown us. 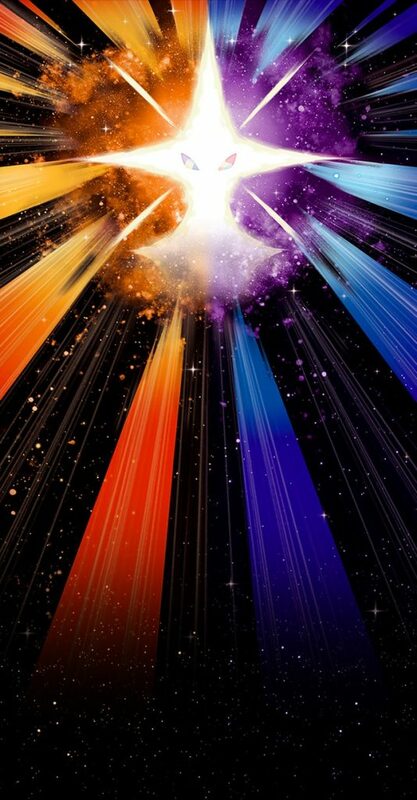 Indeed, remember a while back how some people were talking about a mysterious ‘legendary’ found in the official site’s background? Or how some weird light effect seemed like the face of a dragon? Yeah, you may have. It was a rumour going around online before the recent trailers. Guess what? The rumour… actually wasn’t wrong. There is actually a mysterious new dragon based Necrozma form Nintendo haven’t shown off yet. What’s more, it’s actually got stats on par with Zygarde’s ‘Complete’ form! Which gives it a BST of 754. That’s absolutely insane, even for a legendary Pokémon like this. For comparison, that’s only a few points less than Mega Rayquaza where stats are concerned, significantly better than Zygarde Complete Form and about the same as Mega Mewtwo in all but its best stat. So, if you think Necrozma wasn’t too useful before, things have certainly changed now. Its Ultra form is more than capable of dishing out some painful hits, and completely overshadows the standard cover legendaries at about the same time. Which is where things get a bit murky. Why? Because to some degree, Ultra Sun and Ultra Moon are in an awkward situation as far as the extent of their improvements are concerned. That’s cause while the new villain team and story changes are rather well done, the vast bulk of the game is pretty much the same as the original titles. That means that if you wanted something on par with Black 2 and White 2… well you’re not getting it here. This is another Pokémon Emerald or Platinum in terms of extra content, and the way the new content has been integrated shows that. Basically, the Ultra Recon Squad are not main villains, and have no major part in the storyline. 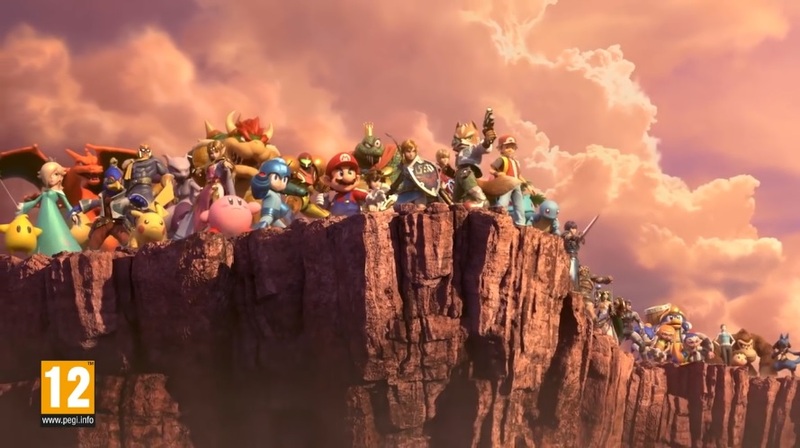 Instead, they’re side characters who battle you every now and again, with the main antagonist roles being shared between the existing teams (Skull and Aether Foundation) as well as the new Team Rainbow Rocket guys. For the most part, the Team Skull and Aether Foundation storylines go as expected. Lusamine is still crazy (though not so much about the Ultra Beasts now), Guzma is still a villain outside of the Team Rainbow Rocket section and Po Town is still visited as part of the main storyline. Indeed, for an alternate universe version, it doesn’t really deviate that much in the main story, with the setup of the original titles mostly going unchanged with a few exceptions. However, those exceptions do add a few interesting new twists to the formula here. As stated before, the Ultra Recon Squad shows up at points, and their presence adds a bit more to the game that would have been missing. And then there’s Team Rainbow Rocket. Yeah, they’re the new organisation made up of all the past leaders, and they appear in the postgame storyline this time around. However, their usage in the game is a tad mixed to say the least. That’s because while on the one hand they do a lot in their short appearance (like taking over Festival Plaza and hijacking Aether Paradise with their mole Faba), they also don’t seem to really… interact that much with each other. 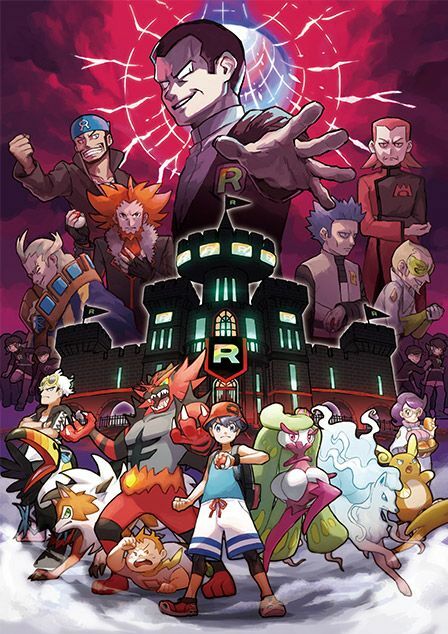 Which means that despite appearing as villains in this storyline, Archie, Maxie, Cyrus and Lysandre seem to be on autopilot through most of their time in the game. They say a few words about being taken from their home universes, fight the trainer and pretty much disappear after that. They’re technically involved with Team Rainbow Rocket, but they don’t really know of its cause or seem to truly be working with Giovanni. Still, there is one exception to the rule. Ghetsis (the leader of Team Plasma) does actually know what Giovanni is planning and seems to be trying to set him up as an N like figure that’ll ‘rule’ Alola as a puppet king. This (plus his interactions with Colress and his fight being one of the last) implies he’s treated like the second in command of the organisation and gives him a bit more fleshing out than everyone else. So yeah, it’s a mixed bag really. The idea is good, the battles seem good and the puzzles add a bit of depth, but only two or three of the evil leaders seem to actually play more than a bit part in the whole plot. Still, let’s move away from the story now, and onto Pokedex entries. Because as we all know, Pokémon Sun and Moon had some… interesting ones there. Ones that made the Pokémon world feel far darker and more cynical than before, and portrayed things like Mega Evolution as equivalent to crimes against nature. Because of this, you may wonder how Ultra Sun and Ultra Moon’s entries stack up here. Are they as grim as the original games’ ones? Gengar: Even your home isn’t safe. Gengar will lurk in whatever dark corner of a room it can find and wait for its chance to catch its prey. Electabuzz: While it’s often blamed for power outages, the truth is the cause of outages is more often an error on the part of the electric company. Gyarados(Mega): It zooms out of the water at Mach speeds. Even large ships caught in its path are split cleanly in two! Crobat: It feeds on the blood of living people and Pokémon. If it can’t drink any blood for even a short while, it becomes weak and unable to fly. Pineco: Motionless, it hangs from trees, waiting for its bug Pokémon prey to come to it. Its favourite in Alola is Cutiefly. Misdreavus: What makes it happy is imitating the voices of weeping people and scaring everyone. It doesn’t deal well with folks who aren’t easily frightened. Houdoom: Identifiable by its eerie howls, people a long time ago thought it was the grim reaper and feared it. Tyranitar(Mega): The effects of Mega Evolution make it more ferocious than ever. It’s unclear whether it can even hear its Trainer’s orders. Sableye(Mega): Bathed in the energy of Mega Evolution, the gemstone on its chest expands, rips through its skin, and falls out. Lucario(Mega): Bathed in explosive energy, its combative instincts have awakened. For its enemies, it has no mercy whatsoever. Froslass: It’s said that on nights of terrible blizzards, it comes down to human settlements. If you hear it knocking at your door, do not open it! Basculin (Red Stripe): When a school of Basculin appears in a lake, everything else disappears, except for Corphish and Crawdaunt. That’s how violent Basculin are. Jellicent: Fishermen are terrified of Jellicent. It’s rumoured to drag them into the sea and steal their lives away. 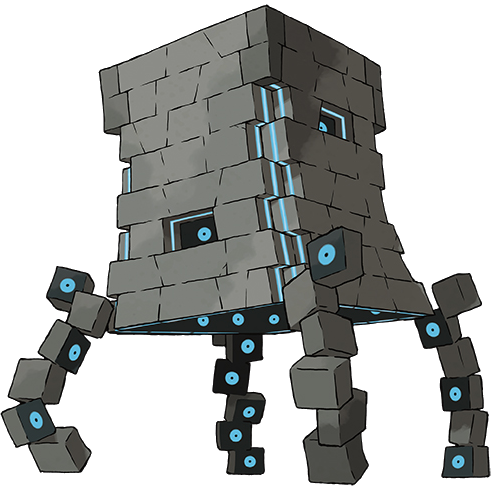 Golurk: When the seal on its chest is removed, it rages indiscriminately, turning the whole town around it into a mountain of rubble. Amaura: Amaura was restored successfully, but it’s not expected to live long because of the heat of the current environment. Araquanid: It has a habit of storing things it values in its water bubble. If its Trainer doesn’t watch out, Araquanid will try to put them in its bubble! Mimikyu: A gust of wind revealed what hides under this Pokémon’s rag to a passing Trainer, who went home and died painfully that very night. Tapu Lele: Although called a guardian deity, Tapu Lele is devoid of guilt about its cruel disposition and can be described as nature incarnate. As you can tell, they’ve still got some of the edge found in the previous games, but it’s a bit more toned down than the ‘blood soaked crescent’ thing from Sun and Moon (or comments about trainers’ spines being snapped in two by Bewear). Drampa: If a child it has made friends with is bullied, Drampa will find the bully’s house and burn it to the ground. Yep, Drampa has now become an anti-bully vigilante. It’s a surprising change in personality for a species that was merely a Mr Rogers esque friend to all children in the original Sun and Moon, and one that’s almost inevitably gonna end up in a million online articles when the embargo officially lifts. Hau is now the ‘champion’, playing the same role as Kukui did in the previous games. He gets a sweet battle theme too. Ultra Beasts from the original game are now unlimited. Yep, you can now get as many Nihilego, Buzzwole or Guzzlord as you like now. They’re not shiny locked either. Go nuts. As well as shiny Pokémon, with the portals having a random chance of glowing to indicate a shiny Pokémon is inside. Bubbling fishing spots are more common. Yeah, they’re better off not existing, but the mechanic is at least a tad less annoying this time around. Various new customisation options have been added. Aka, new clothes. And finally, Ultra Beast worlds are based on areas from the original games, with reversed music. That’s interesting in regards to Guzzlord, since its realm is implied to be a world where the Guzzlord population killed everything else. So yeah, those are the main changes in Pokémon Ultra Sun and Ultra Moon. If you need to know about the others, check out Project Pokémon’s research here, or read up on the topics at the GameFAQs and Reddit forums for the games. Cause there are some interesting tweaks here and there, and the changes do make the games a bit more interesting than they’d otherwise be. Still, what do you think? Do you like the new Pokémon, forms and story changes? Does any of it make you want to try out Pokémon Ultra Sun and Ultra Moon when they’re released next week? Post your thoughts on the matter here in the comments or at the Gaming Latest forums today! Apart from the Pokemon and members of the Ultra Recon Squad, what’s different between US and UM? The first totem is still different (it’s Gumshoos in Ultra Sun, Raticate in Ultra Moon), as are some of the Battle Tree opponents. Other than that, don’t recall many differences between versions. Areas are the same, the villains you fight are the same (outside the Recon Squad members) and most other aspects are the same too.